With thanks to Associate Professor Tina Cockburn for drawing attention to PBU & NJE v Mental Health Tribunal  VSC 564. PBU and NJE challenged orders of the Victorian Civil and Administrative Tribunal that they be compulsorily subjected to courses of electroconvulsive treatment (‘ECT’). The orders were made under the Mental Health Act 2014 (Vic) after VCAT determined that PBU and NJE lacked the capacity to give and therefore to refuse informed consent to the treatment, and that there was no less restrictive way for them to be treated. VCAT determined that PBU and NJE lacked the capacity to give informed consent and were therefore liable to receive compulsory ECT. In doing so, it erred in law by interpreting and applying the capacity test in the Mental Health Act incompatibly with the human rights of PBU and NJE under the Charter of Human Rights and Responsibilities Act. The Supreme Court overturned those decisions. At  the court set out a summary of the principles relating to assessing capacity to give informed consent under s 68(1)–(2) of the Mental Health Act. 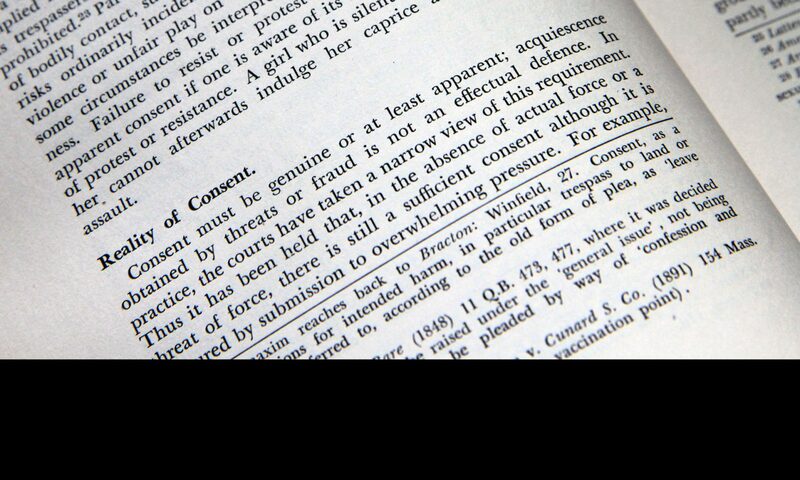 At  –  the court commented that the threshold of capacity in s 68(1)(a)–(d) is relatively low. It requires the person to have an understanding of and an ability to remember and use or weigh relevant information, and communicate a decision, in broad terms as to the general nature, purpose and effect of the treatment. It does not require the person to have an ability to use or weigh relevant information in every detail but only as to the salient features and in those terms. The capacity test at common law is applied upon this basis and it would be discriminatory to expect people with mental disability to function or have an ability to function at a higher level than that. Further, it is a fundamental principle of the common law, to which ss 11(1)(d) and 68(2)(d) of the Mental Health Act give expression, that a person with mental illness is not to be denied capacity only by reason of making a decision that some may consider to be unwise or irrational. To have the capacity to give informed consent, it is not required of persons having mental illness, nor of persons not having mental illness, that they give, or are able to give, careful consideration to the advantages and disadvantages of the treatment. It is not required that they make, or are able to make, a rational and balanced decision in relation to the decision. It is enough that the person, like most people, is able to make and communicate a decision in broad terms as to the general nature, purpose and effect of the treatment. Personal autonomy and the dignity of the individual are at stake. A person does not lack the capacity to give informed consent simply by making a decision that others consider to be unwise according to their individual values and situation. To impose upon persons having mental illness a higher threshold of capacity, and to afford them less respect for personal autonomy and individual dignity, than people not having that illness, would be discriminatory.